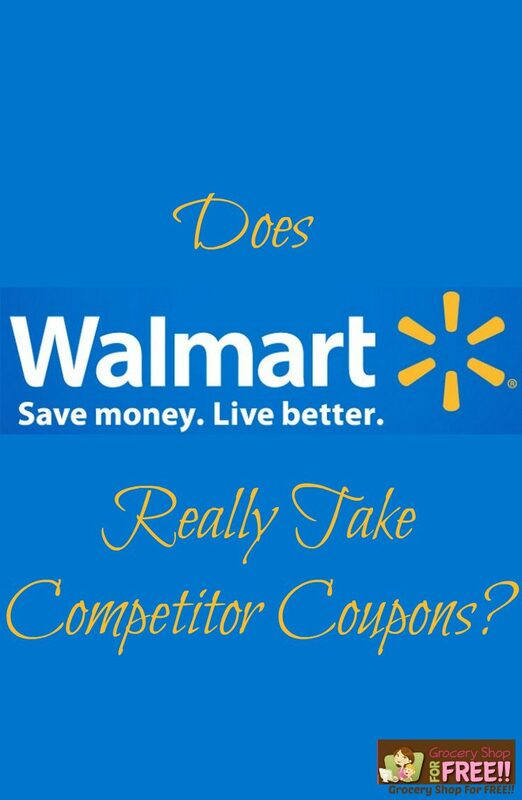 You are here: Home / Finance / Couponing / Does Walmart Take Competitor Coupons? Earlier this week we talked about price matching at Walmart. So, today I thought we would discuss Walmart and their Competitor Coupons Policy. So, once again, to me, that is price matching – plain and simple – nothing else. They say they take competitor coupons that are for a specified price – they match the price. They say they take Buy One Get One FREE coupons with a specified price – they match the price. Dollars/cents off at a specific retailer – because there is no price to match. Percentage off – because there is no price to match. Buy One Get One FREE coupons WITHOUT a specified price – because there is no price to match. Once again, we know that Walmart prices and the way cashiers and managers read and understand their own policies can vary widely from store to store – so keep that in mind when shopping there. You might find a cashier that takes these competitor coupons, or even a store that does. All I can tell you is what their policy is, I would say most of the stores have this part of their policy correct.. Remember to print and carry the policy with you whenever you are shopping there. That is very true, but, what will eventually happen is that they will see you coming and you will be known as the couponer who knows what she is doing and they will stop questioning you because they know you! I’m very new and confused at the couponing .. is that mean that I can thake a Walgreens coupon with a specific amount off and they will take it ? Than I can add a manufacturer one ?